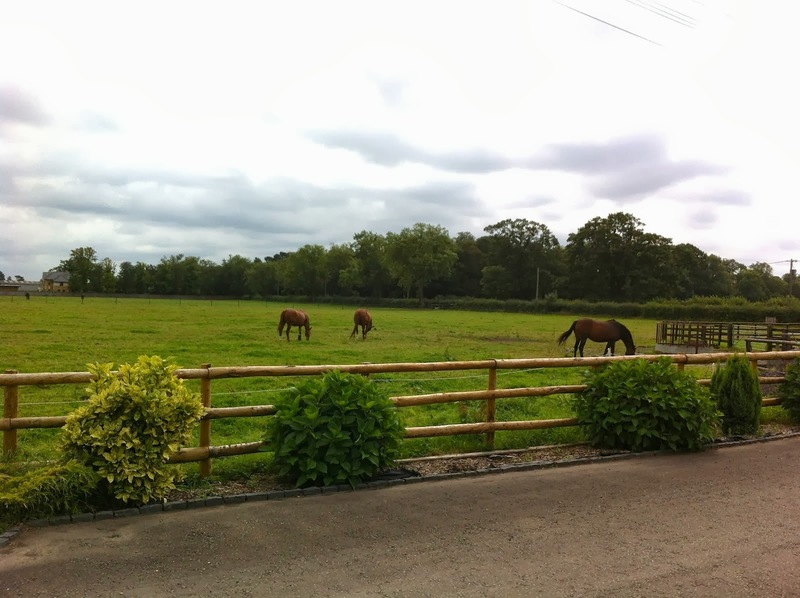 Here's a little snap shot of one of our recent kitchen projects. Grey is definitely the colour of the moment! 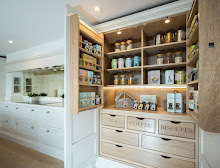 The shaker design is a classic look which clients come back to time and time again - it can be adapted in so many different ways to suit all sorts of tastes and styles. This is a contemporary version - very clean simple lines with nice chunky framing. The in frame cabinetry is painted in the Little Greene’s “French Grey” whilst the table and chairs are painted in contrasting “Mid Lead”. The kitchen has a striking walnut interior which compliments the grey really nicely. 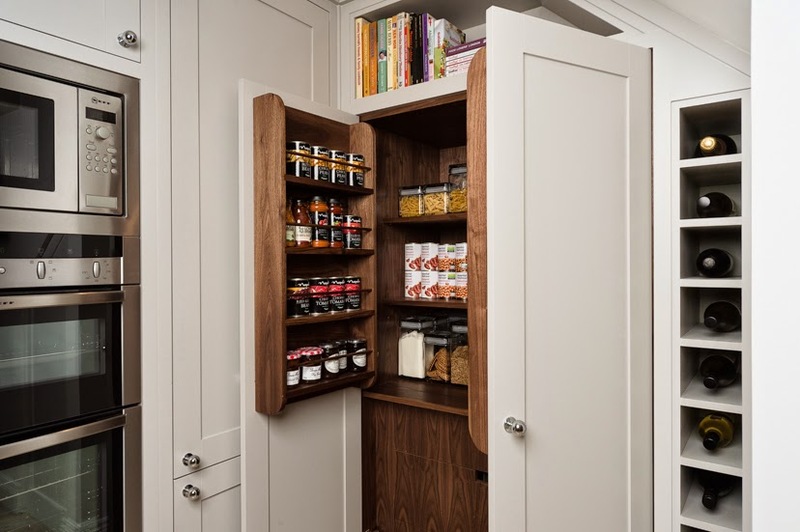 The kitchen has a stunning walnut larder with internal spice racks, shelves and drawers. 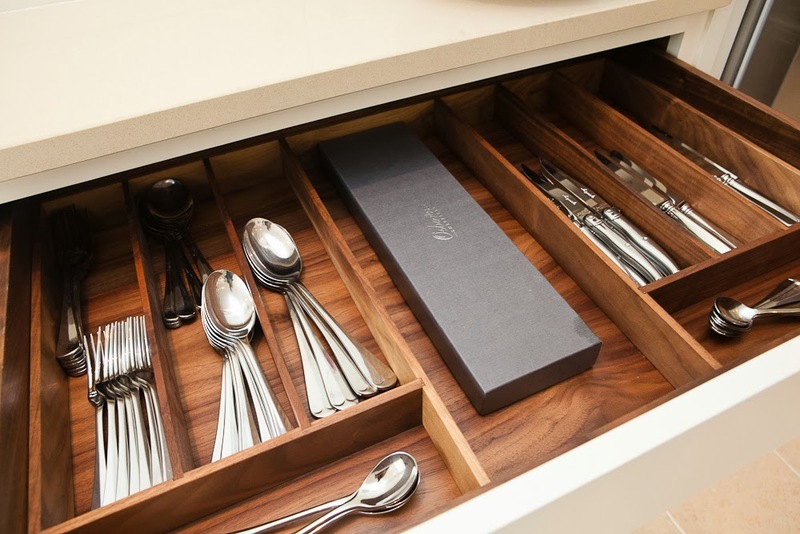 The drawers have solid walnut cutlery trays. 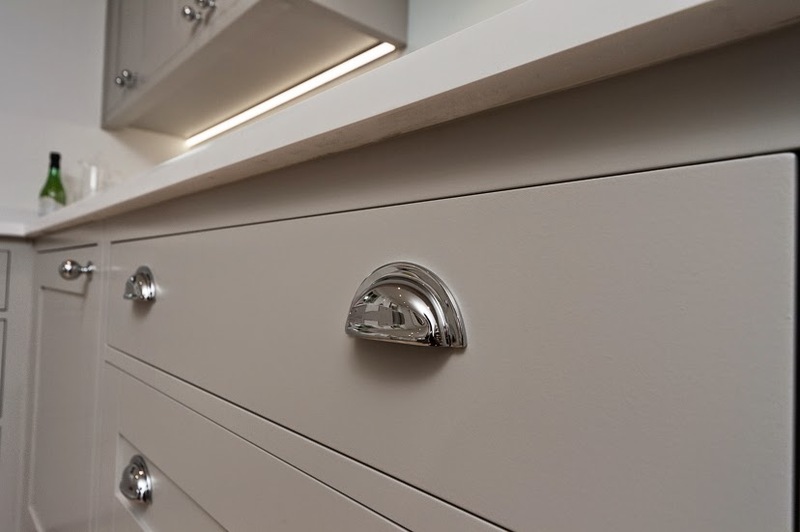 The polished chrome handles are really stunning and really tie the whole kitchen together beautifully. The worktop is Silestone “Blanco Zeus”. 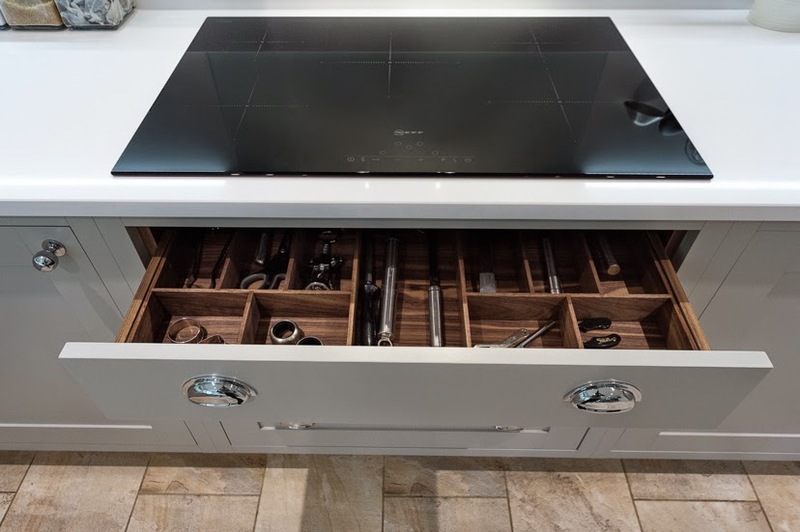 Appliances are all Neff – the sink is Villeroy & Boch and the tap is Franke.